Private Samuel James MacFarlane was born at Doons, Orritor, Cookstown on 17th March 1894. On leaving school he served his apprenticeship with the Henderson Line of Steamers, trading between Glasgow and Rangoon. He later went to work in Australia. On arrival in Sydney he found that war had broken out in Europe and immediately volunteered his services. He took part in the New Guinea Campaign and was offered a commission to assist in training other volunteers. 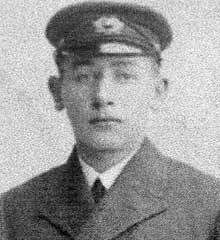 He preferred to volunteer for active service in Europe and was at first posted to Cairo and then Gallipoli. He was fatally wounded at Gallipoli and died a short time later on an Australian Hospital Ship, having been recommended for a medal.